How do you find the best buyer’s agent? Like with anything in life it comes down an individual’s experience. Have they owned a house or investment property? Been a property seller’s agent? What qualifications and real estate licenses do they hold? Remember, a buyer’s agent is a skilled sales person, they know how to sell their story to gain business. After you’ve read this article you will be able to sortthrough the facts. You will be able to spot the difference between a good buyer’s agent and the best buyer’s agent in Melbourne. Conditioning the vendor to accept a market value offer. Presenting a property for sale (staging, photography). Structuring an advertising campaign to attract buyers and achieve a desired price. Conditioning buyers and managing their expectations. Organizing sales paperwork (Section 32’s). Negotiating a price between two parties. Each step seems simple yet there is a large level of know-how and skill to achieve a successful outcome. In addition, everything must be orchestrated within a tight time frame. The best buyer’s agent understands this in detail because they have done it many times over themselves. Selecting the right property to purchase. How to structure a negotiation. Leveraging a situation to their client’s advantage. A buyer’s agent that has never been a selling agent may never understand how to maximize a property negotiation or target a property that has the potential to sell for a bargain. The best buyer’s agent should be a fully licensed real estate agent and have owned a real estate agency. This can be verified on the public record via the Consumer Affairs Online Register. The agent must also be a member of an ethical body which keeps her/him accountable todemonstrate a code of ethics. In Victoria, this body is called Real Estate Institute of Victoria (REIV). The best agents also possess full indemnity insurance in case of an unforeseen circumstance. Giving back to the community also shows that your agent has good character and is not focus solely on their empire. Understanding The Cost Of Property Ownership. The long-term cost of owning a property is usually something most people don’t consider until a situation arises. It’s much like owning a new local made car vs.an old european car. The old car can be prone to breaking down. Parts can be expensive and timely to deliver, hence make the car not usable for a period of time. The life span of things like the kitchen and bathroom. Understand natural movement in a property vs. structural defect. Common issues with building styles. Problem trees that can break plumbing pipes or crawl into walls. A clearer walk away point during a negotiation. Long-term accountability to their clients. Every buyer’s agent should have owned an investment property and sold at least one property to understand what they’re getting their clients into. 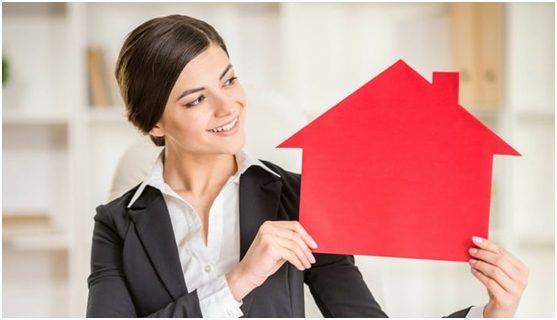 A buyer’s agent considers things like their clients exit strategy, if their clients need to sell and will the property attract buyers and achieve a good price? Will the property attract tenants and achieve a good rental yield VS the cost of buying. The costs involved in buying the property and reselling are also carefully considered. The best buyers agent will know how to hustle real estate and will have a property portfolio of their own. They claim to be the best property buyers in town so they should be able to prove it. It’s much like a sales person telling you to buy something they don’t use themselves. What deals have they done in the last three months? Has the buyer’s agent saved their client’s money? Have they done any off-market transactions (property that is sold without a public advertising campaign). Happy customers will leave detailed reviews of their experience of using a particular buyer’s agent. Check out their Google reviews page or a Rate My Agent website and make sure they’re recent. Recent transactions demonstrate the health of the buyer’s agency. 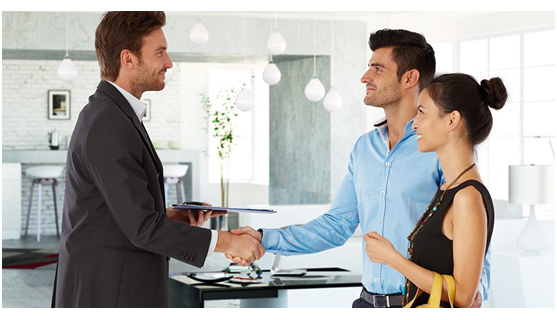 If the buyer’s agent is not making recent transactions, he/she may feel pressured to make unethical decisions. If the buyer’s agent has word of mouth clients, this is usually a good sign. Interstate buyer’s agents claim to be experts in the Melbourne market. They hire contractors in each state to deal with clients wanting to buy in that state. The problem with this model is the buyer’s agents have little long-term accountability. To get the best buyer’s agent, they should own the business themselves. They should also work in the area their office is located in and gained all their experience in that same area. Research on your prospect buyer’s agent is essential to finding the best one. Cross check what they say against the consumer affairs website, type there name & company name into Google and check the news articles that appear. How many properties have you owned? Have you ever renovated a property (understand costings)? Which agency were you a real estate agent in? Tell me about your last three sales and what favorable terms did you win your clients? Have you ever been in trouble with consumer affairs or the law? What time frame do you hold an average client for (before you buy them a property). Can you provide a market value and a rental appraisal in writing on prospect properties? When did you get your full real estate license? Tell me a time something has gone wrong and how did you deal with it? The purpose of hiring a buyer’s agent is to achieve the best outcome for the client hiring them. Unfortunately, the industry is loosely regulated so all buyer’s agents are not the same. To achieve a good outcome for a buyers scenario it’s important to hire the best buyers agent by asking the right questions and doing your research. We hope this article has empowered you with some wise real estate advice. Mark Ribarsky, a Bachelor of Business, is the founder of Wise Real Estate Advice. He is an experienced residential property developer, a fully licensed real estate agent, a buyer’s agent and property manager.